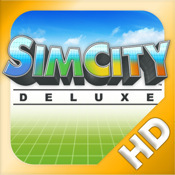 I just downloaded simcity deluxe for iPad and started playing. It feels a bit glitchy with memory management, but so far no crash. So the first thing I’m going to start working on are the cheat codes. I have just started to mess with it so if anyone else has already made progress with the cheat codes, let me know and I’ll update the list. I’m going to start with these first and see what we get after I get this past at least 1990. I think some cheats only work after a city is at a certain size or past a certain year… Stay tuned! Oh, BTW, if you did not already know, you get to the cheat code entry window by shaking your iPad, and shake it hard! So far, I got 5 confirmed, and 2 that I’m pretty sure are not working..
BTW, I just put a list of SimCity Tips together to improve your game play. Under the Utilities menu, open the Power Plant window. Then close it with the X button in the upper right-hand corner. Under the Civic/Special Buildings menu, open the Rewards & Opportunities window. Then close it with the X button in the upper right-hand corner. Under the Utilities menu again, open the Garbage Disposal window. Then close it with the X button in the upper right-hand corner. Now go back to the Civic/Special Buildings menu and open the Landmarks window. The landmark list should now be very long and contains all the buildings and structures in the game (excluding infrastructure). You can place any building now. ‘water in the desert’ – All water facilities become available regardless of year. ‘let’s make a deal’ – All of your petitioners to whom you have connections to starting making deals with you. ‘UFO Swarm’ – After entering this cheat, start a UFO disaster. ‘the birds’ – A flock of birds fly over your city. ‘stop forcing advice’ – Supposedly shuts up the advisers. Not verified. ‘i love red tape’ – All ordinances become available. Unknown side-effects (not verified): City hall description becomes “Miles and Miles of Red Tape”. ‘call cousin Vinnie’ – After typing this code, you will see a Local Fundraising Event appear in the Meet window. He’ll offer you some cash, and if you accept the deal, he’ll give you a large wad of cash. You can only use this code once.